Okay people, we are in the home stretch!! Do you feel like you can take on the world? 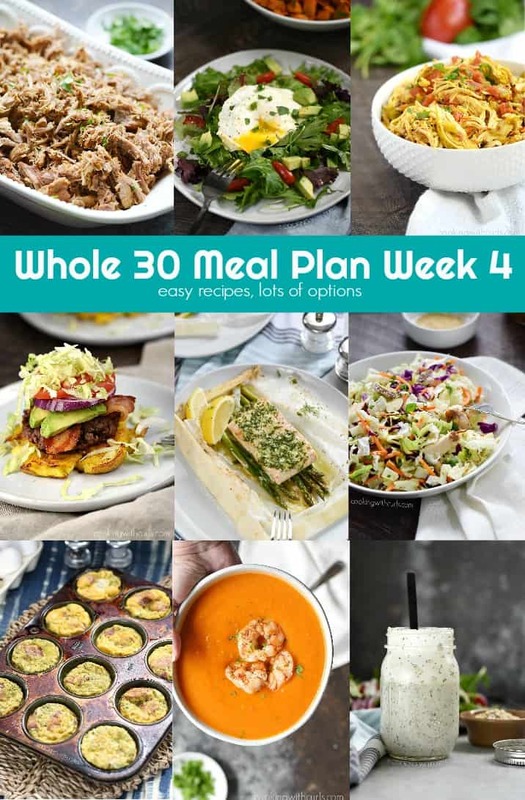 We are nearing the finish line and it’s time for Whole 30 Meal Plan Week 4, can you believe it? They say that right about now is when most people give up on their New Year’s resolutions…don’t be one of those people…you have worked way too hard!! I have once again pulled together some of my favorite recipes to help us all stay motivated in Week 3, but you can deviate wherever you need or want to. Four of the recipes use a pressure cooker, if you do not have one you could try to recreate them in a slow cooker, on the stove top, or just find something else from the Whole 30 archives at the bottom of the page. You can click on the shopping list button and print out a list of everything needed to make the meals listed, or you can save them to your collections. You can also click on the recipe name and the full recipe with a Print button will pop-up, you don’t even have to leave this page! This recipe plan is designed for two people, meaning each recipe will give you leftovers for 2 or 3 lunches or dinners when you do not feel like cooking. The Whole 30 Breakfast Burrito is written for one serving, so you will need to adjust for that if needed. 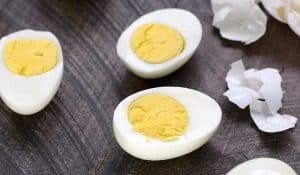 WHAT DO I EAT FOR BREAKFAST DURING WHOLE 30? Leftovers make a great breakfast, it doesn’t have to be a “traditional” breakfast type meal. I left all of the other options so you have as many options as possible. Boredom is starting to set in for me, even though I am constantly creating new recipes. 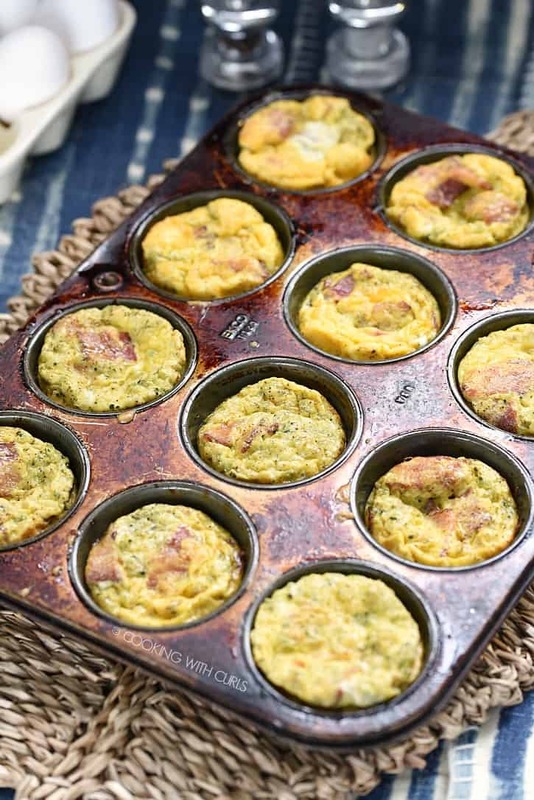 I finally created Breakfast Egg Muffins that I absolutely love and are worthy of sharing with you! They are super easy, especially if you make the cauliflower/broccoli and the bacon the night before. Then you just have to add the eggs and bake in the morning! WHAT DO I EAT FOR LUNCH DURING WHOLE 30? Unfortunately I still have not been able to find a way to list “Leftovers” in the Lunch section. Most of the Dinner recipes are large enough to give you a few days of leftovers, especially the Pork Carnitas and Adobo Chicken. They both work great on salads or served in a baked potato or sweet potato. 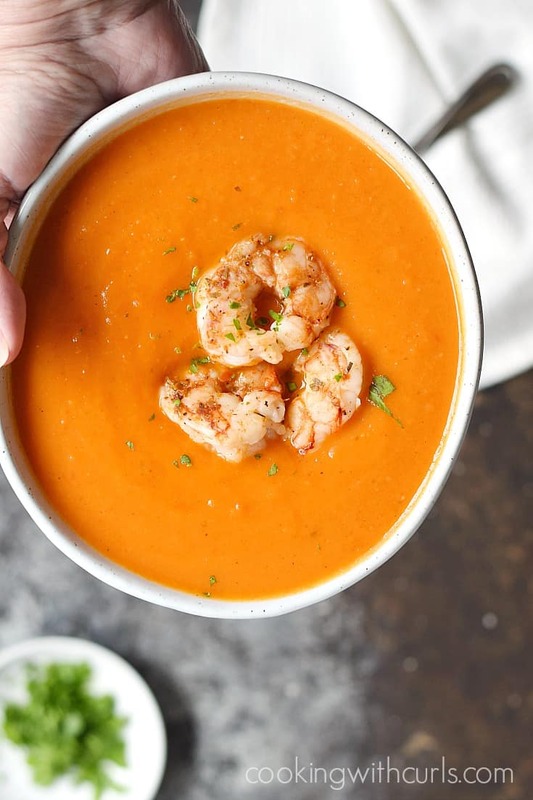 There is also plenty of this ^^^ Roasted Red Pepper Soup to eat for lunch as well. The Kale Broccoli Detox Salad is listed as an example of a salad that you can eat as is, or top with leftover Pork or Chicken. The Whole 30 Ranch Dressing, Garlic and Lemon Infused Olive Oil and my new Everything Bagel Ranch are great to have on hand so you can throw a salad together at anytime. Type dressing into the Search bar and more options will pop up, most of which are Whole3o or can easily be adapted. WHAT DO I EAT FOR DINNER DURING WHOLE 30? I have included two chicken main courses, as well as one fish, one pork, one beef , one lamb and one soup recipe to mix things up! These are just some suggestions to help you plan for the week ahead. The quickest way to cheating, is by not have food ready when you are hungry!! You can also go back to previous Meal Plans and remake any of those recipes instead. 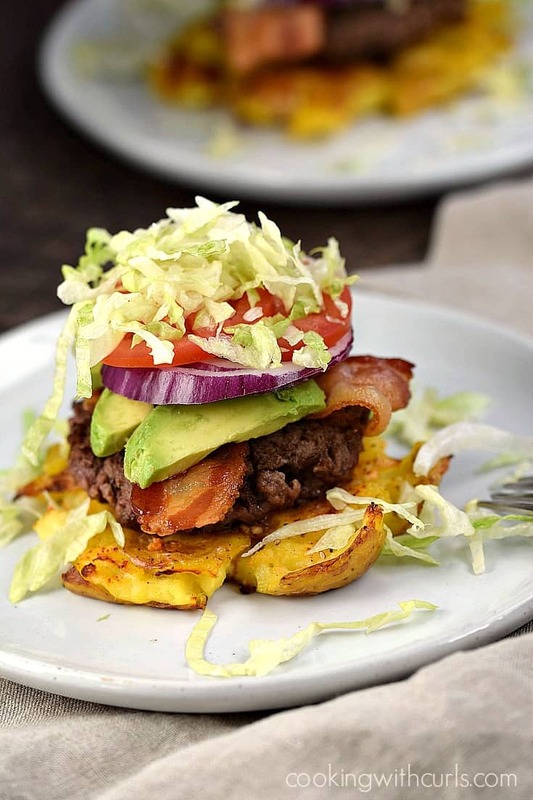 Word of warning….I am not exclusively a Whole 30/Paleo blogger, so some of those recipes will be shown with buns/tortillas/rice/cheese. There are substitutions listed in the individual recipes and I have included some of them in the Condiments and Sides section as well. WHAT IF I NEED MORE WHOLE 30 MEAL OPTIONS? All of my Whole 30 Recipes (61 as of 12/28) can be found in these two posts…Whole 30 Game Plan and Whole 30 Game Plan 2.0. 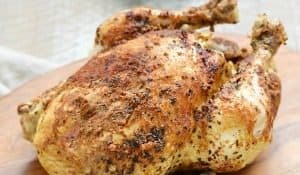 Any recipe created after last week’s Whole 30 Meal Plan Week 3 post can be found by clicking the the Categories button at the bottom of the page and scrolling down to Whole 30. 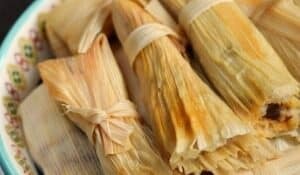 The recipes are listed from newest to oldest. 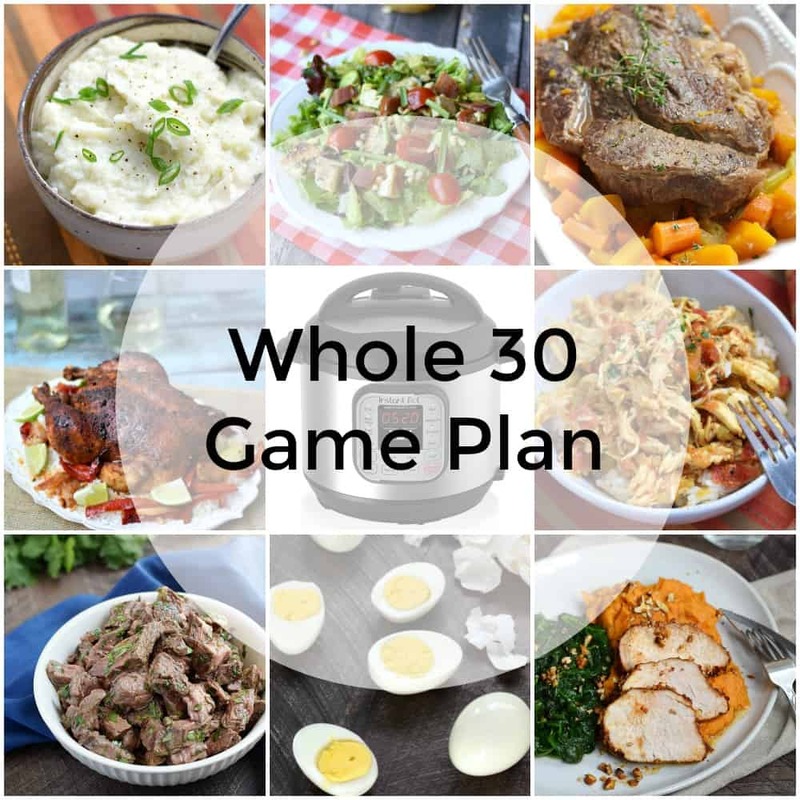 The Whole 30 Game Plan includes explanations of the program as well as tools that I used. It also includes a lot of the basic recipes like Blender Mayonnaise and IP Hard Boiled Eggs. The Whole 30 Game Plan 2.0 post includes what I learned last time and what I plan to do differently this time around. Well there you have it, four weeks worth of Whole30 meal plan ideas to get us all through the rest of the month. Thanks so much for following along with me this time around! !